Every now and then, a car comes along to break all the rules, and makes you rethink what you want in one. 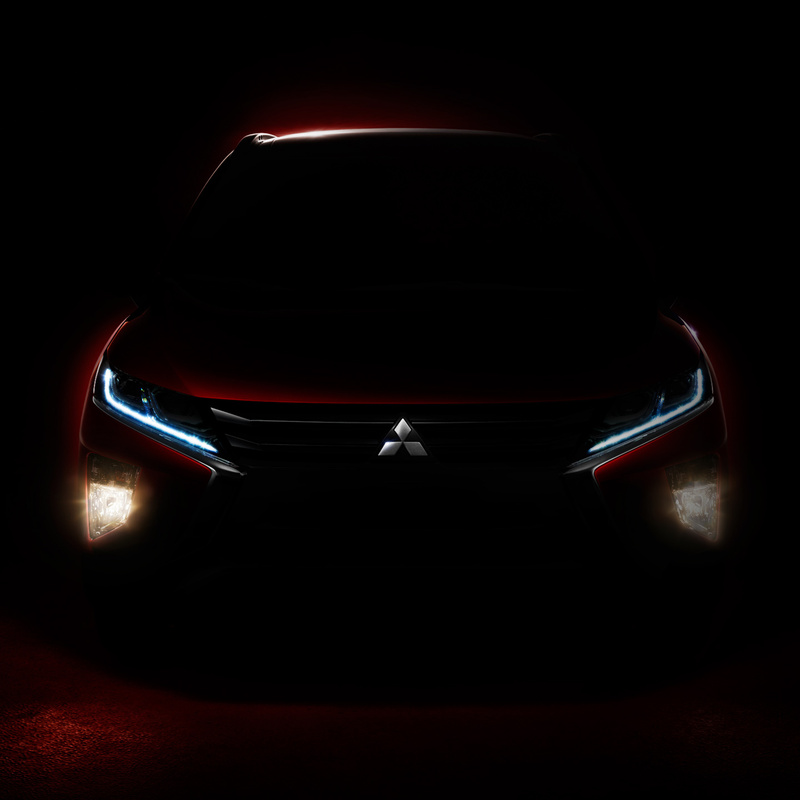 The Eclipse Cross Turbo Coupé SUV is that car. 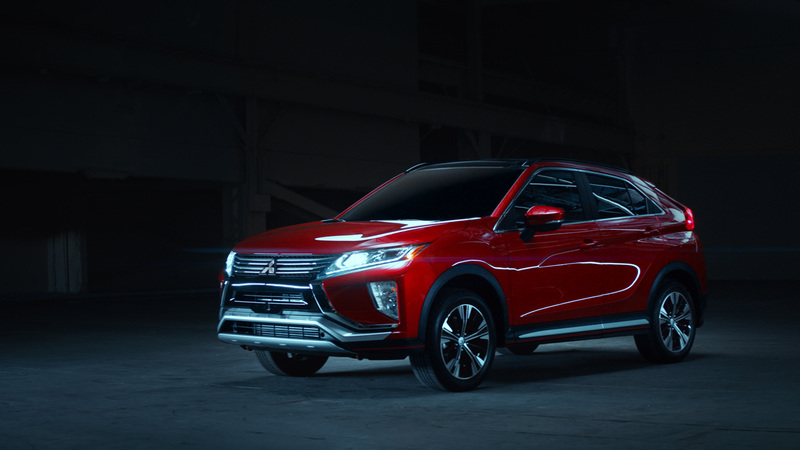 Featuring the distinctive Dynamic Shield design and exceptional Japanese craftsmanship all around, the Eclipse Cross is streamlined for efficiency, handling and safety, and decked out thoughtfully for your comfort. Simply put, the time to eclipse expectations by crossing the line, is now. 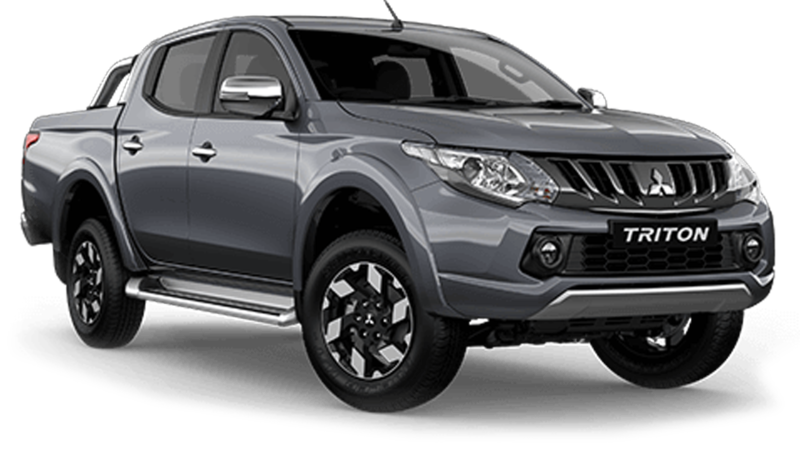 The newly developed engine puts instant acceleration in your hands – made possible by direct fuel injection, an exhaust manifold-integrated cylinder head, sodium-filled exhaust valves, MIVEC (Mitsubishi Innovative Valve timing Electronic Control system) and more. The advanced CVT supports smooth, powerful acceleration and outstanding fuel-efficiency with a new step shift control that creates the satisfying sensation of shifting gears. With a fine-tuned suspension, responsive steering and supreme body rigidity, handling is stable, intuitive and predictable. And no matter what road you travel on, all passengers enjoy an extremely comfortable ride. Bold lines. Flared fenders. A deeply sculpted wedge like an athlete perched to explode from the starting block. 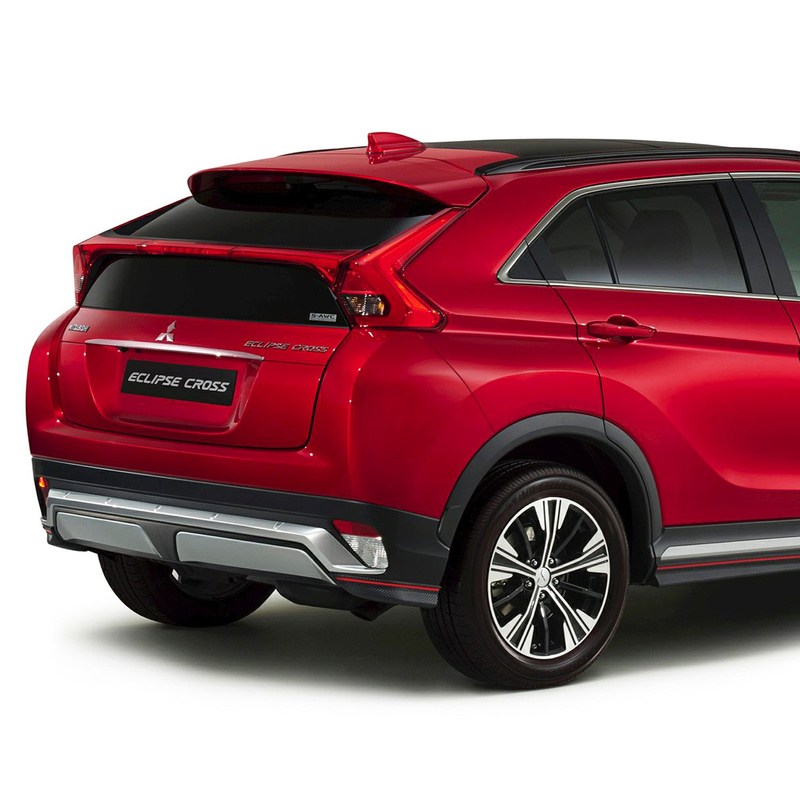 Coupled with high-mounted rear lamps that divides the rear window in two, the Eclipse Cross is a head-turner from every angle. Drive safely with the Head Up Display, which conveys vehicle information in full colour above the meters for easy viewing. You can even adjust the image brightness and display height to suit your preference. Located next to the shift knob on the centre console, enjoy intuitive operation of the Smartphone Link Display Audio (SDA) with the touchpad controller. Access maps, music and calls easily on the move. Slide the comfortable rear seats with 9-step reclining and 200mm sliding adjustment all the way back for class-leading legroom. Or individually lower the 60:40 split seat backs for more storage space. In addition to providing a comfortable ride for backseat passengers, both seats can also be folded down for extra boot space – which comes in handy when you have to transport bulky items. 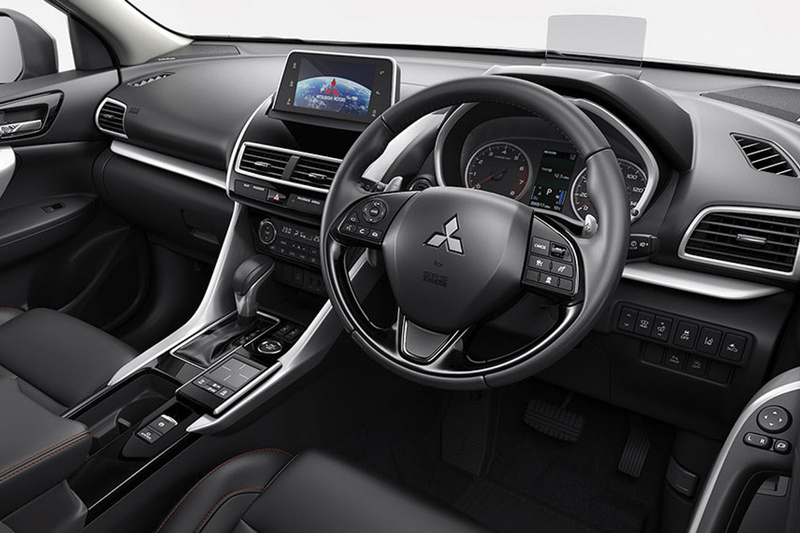 The powerful air conditioning system provides separate temperature settings for the driver and front passenger. 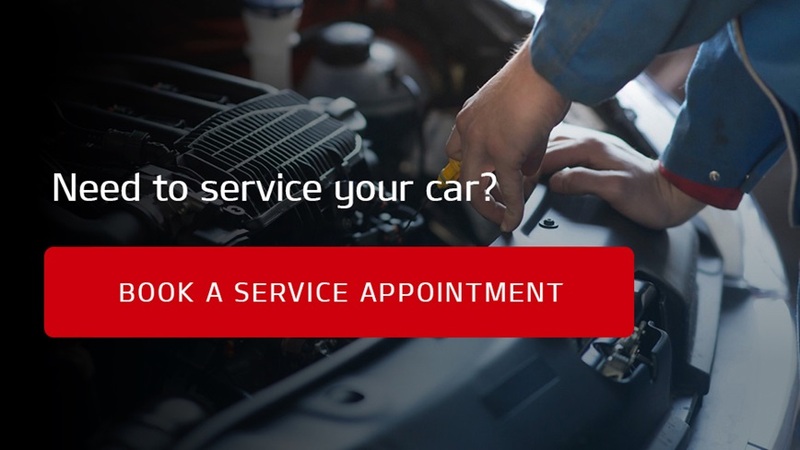 Lock or unlock the doors and tailgate with the press of a button on the outside of the front doors or tailgate, and start or stop the engine with the engine switch in the cockpit, as long as you have the key. Front airbags, side airbags, curtain airbags and a driver’s knee airbag help protect you and your passengers in the event of a collision. The unique design of the split rear windscreen, which is much bigger than conventional rear windscreens, gives drivers a bigger and clearer view of the car’s rear. This ensures the safety of anyone – young or old – who might be standing behind the car. You just have to pull up the switch to apply the parking brake or push it down to release it. If Brake Auto Hold is active, the car will remain stationary even if you release the brake pedal – just step on the accelerator to release it. The views from cameras mounted on the front, rear and sides of the vehicle (including a bird’s-eye view) can be displayed in various combinations to reveal blind spots and help you park more safely. When a collision is unavoidable, this system helps reduce damage by responding to vehicles and pedestrians via camera and laser radar. Note: FCM operation is determined by road conditions and may not operate or be effective in all circumstances. It is not a replacement for safe considerate driving. The driver is responsible for the operation of the vehicle and must remain alert and in control at all times. For increased safety, comfort and driving ease at night, the high beams automatically switch to low beams when vehicles are detected ahead and back to high beams after, so you don’t have to take your hands off the steering wheel to switch it manually. 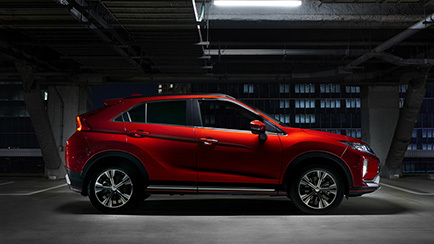 ASEAN NCAP, the leading authority on auto safety in ASEAN, has given the Eclipse Cross five stars – scoring overall maximum points for providing good protection to both drivers and passengers (child and adult), and pedestrians alike.